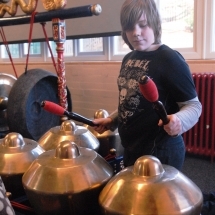 Artbeat provides Gamelan music workshops for groups of all ages and abilities and sessions can be tailor made to the needs of the group. 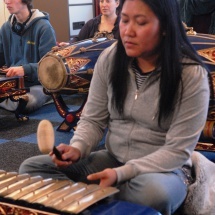 The instruments are instantly accessible with a serene and beautiful sound. 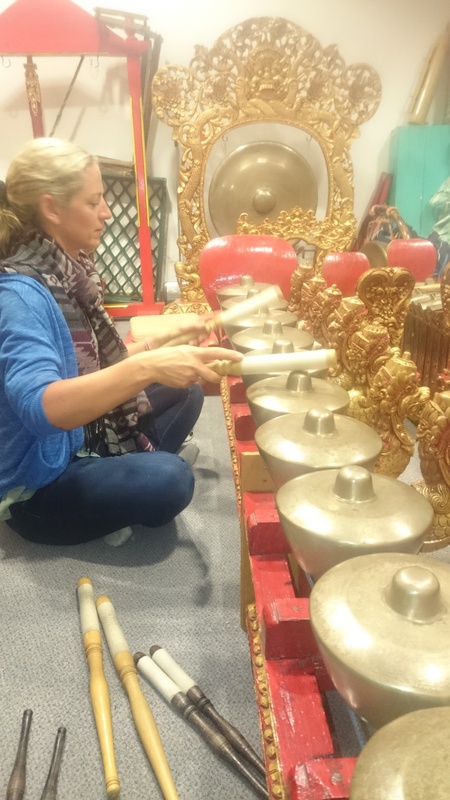 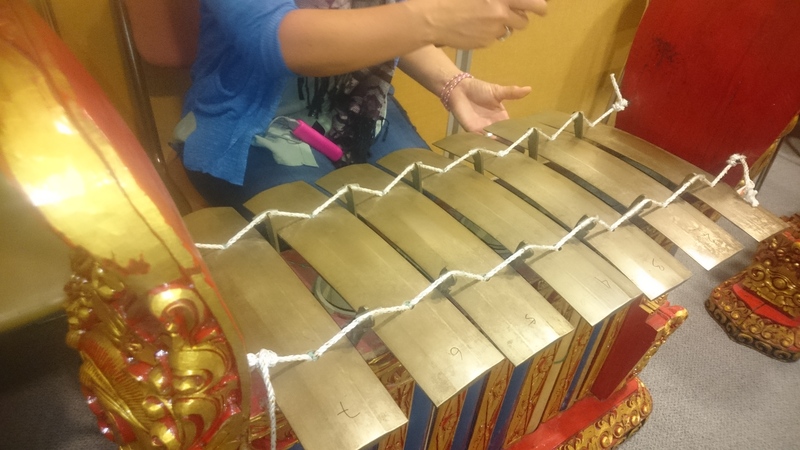 This hands on workshop involves using either a full traditional, bronze, Javanese Gamelan orchestra using the Slendro (5 note) tuning or a smaller, portable set of Balinese Gamelan from Indonesia. 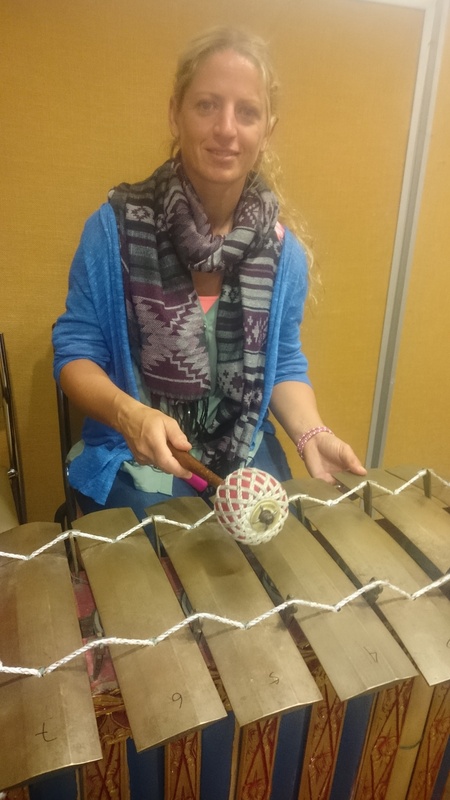 We also provide weekly sessions in Nottingham and Beeston where individuals can come along to take part as well as a performing group. 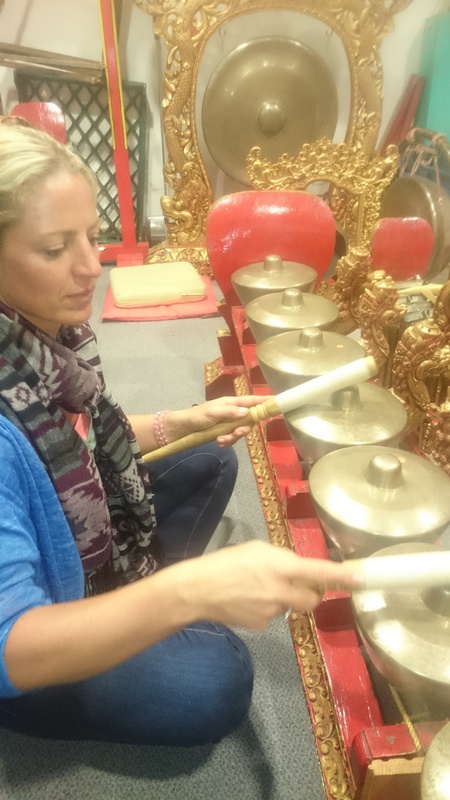 Click here to find out dates of our weekly sessions. 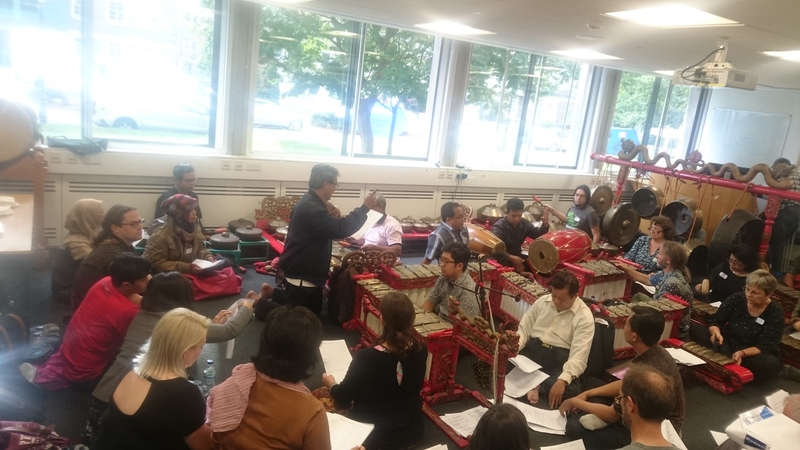 The group workshops are led by a professionally trained Gamelan musician with over 16 years of experience of teaching and performing Gamelan at all levels with Education, Community and Corporate groups and has undertaken extensive training including living and studying in Java, Indonesia with a Darmasiswa scholarship. 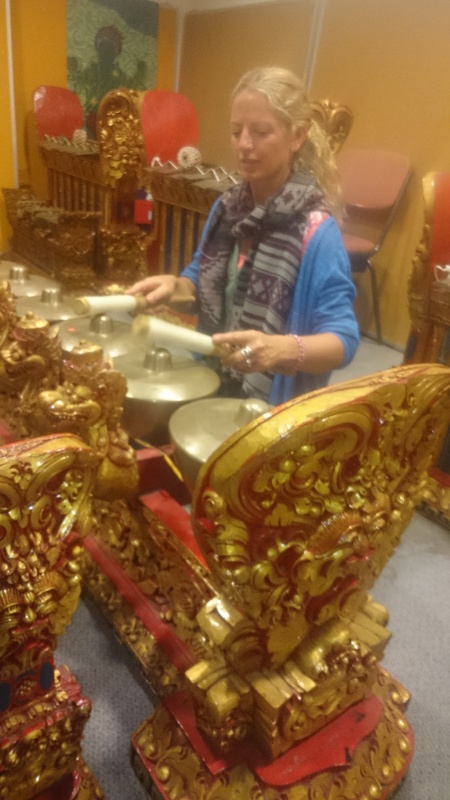 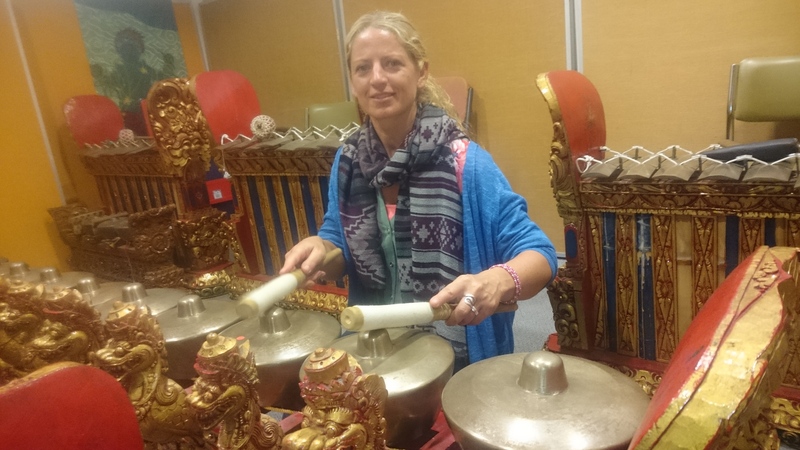 A regular performer with the renowned Southbank Gamelan Players performing and touring internationally as well as facilitating workshops with Good Vibrations projects in prisons, secure hospitals and in the community. 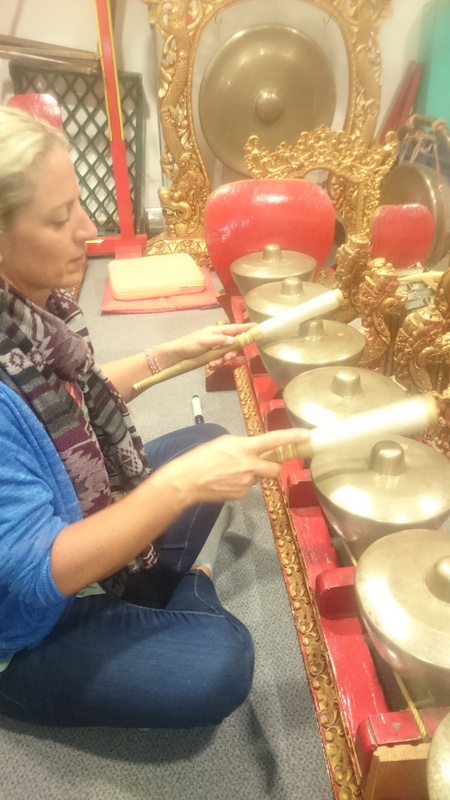 A professional, fu n and accessible approach enables participants at all levels to be accommodated by adapting to the needs of the group. 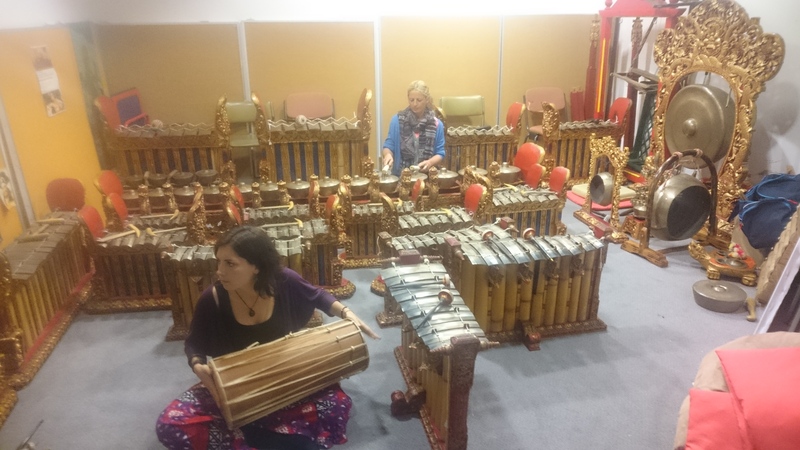 The communal aspect of Gamelan music means it is instantly accessible to all levels from professional musicians to those with no previous musical experience! The range of instruments also provides an excellent opportunity for developing group compositions in longer sessions or to explore other related curriculum topics such as the work of Minimalist composers or group composition. 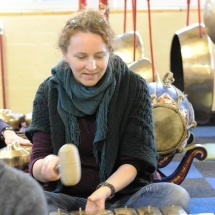 The range of instruments also provides an excellent opportunity for developing group music compositions, sensory explorations and improvisation. 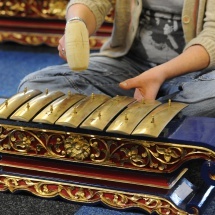 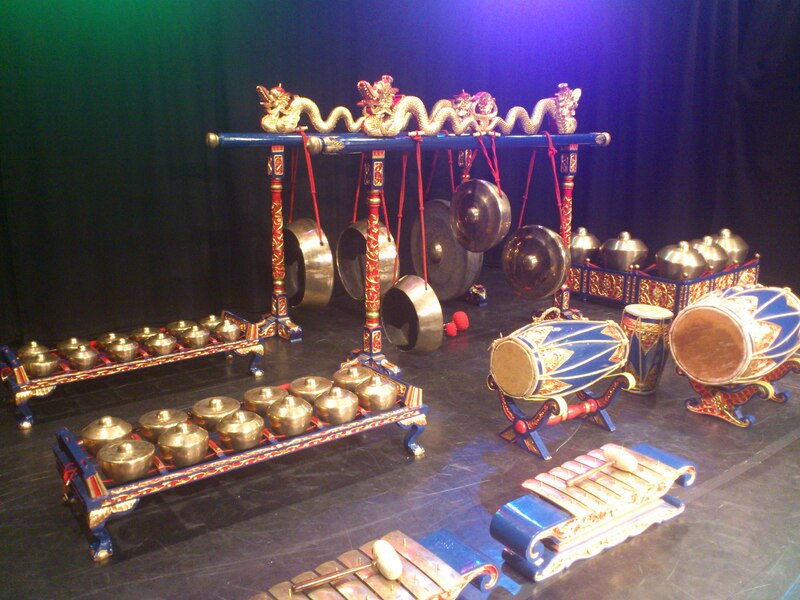 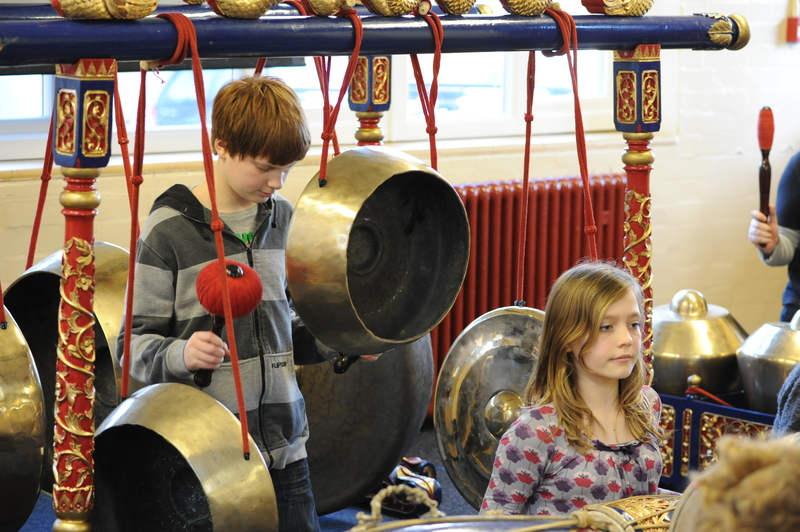 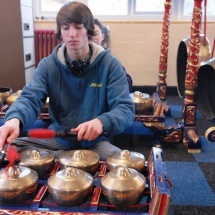 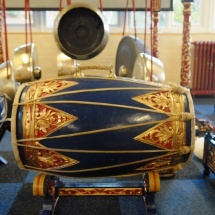 Sessions can take place at the Gamelan based in Nottingham or the instruments can be transported to your venue for a residency -ideal if you have several or more groups and an option to invite neighbouring groups/ schools to book sessions. 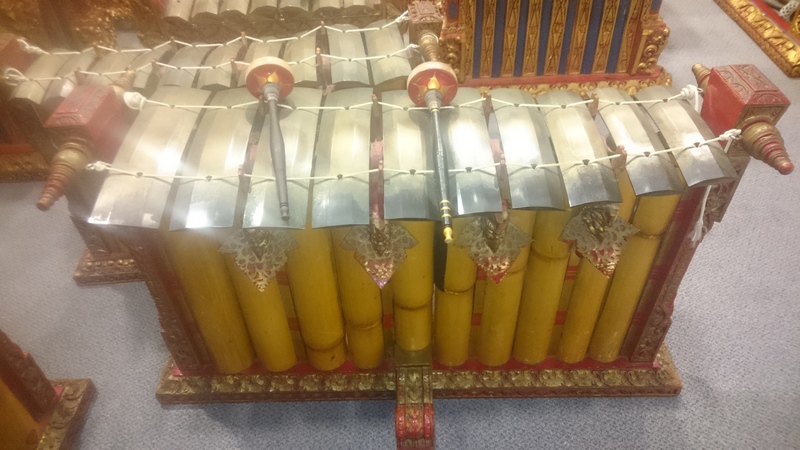 A Gamelan is a large tuned percussion orchestra that originates from Java and Bali, Indonesia made up of large hanging Gongs, giant Xylophones, Drums and other unusually shaped and beautifully ornately decorated instruments. 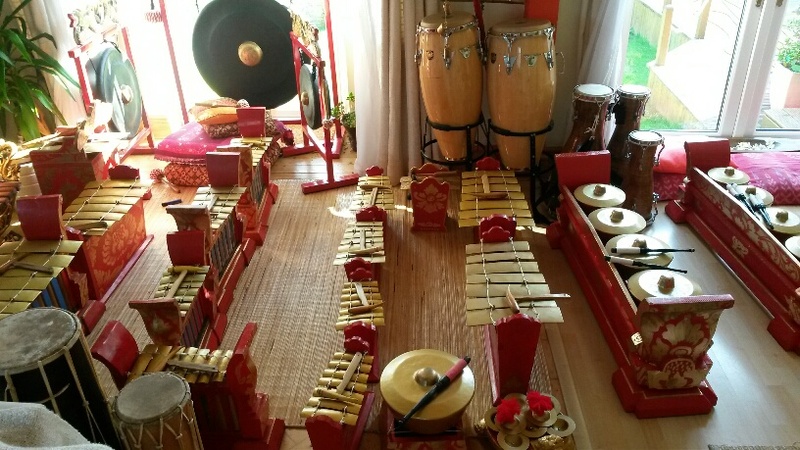 It is traditionally played in the courts and palaces of Java and Bali. 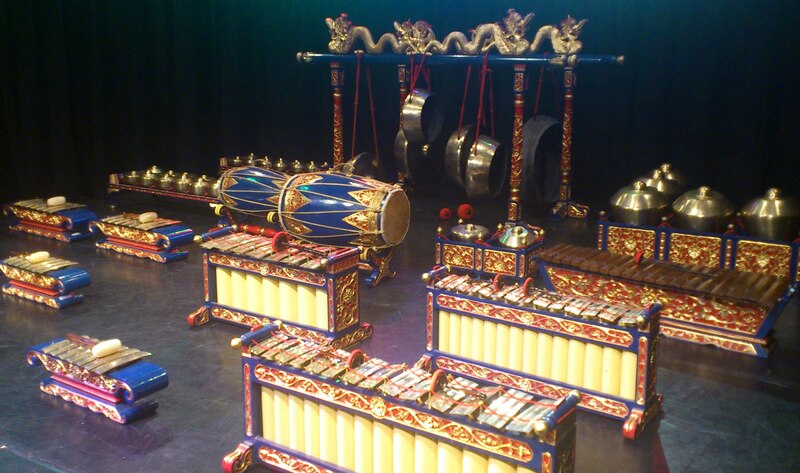 Gamelan music is often used to accompany dance and shadow puppet plays based on the traditional Hindu folk tales of the Ramayana and Mahabharata. 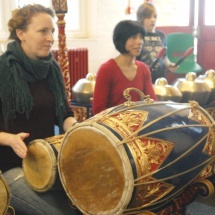 Participants can be introduced to the cultural context sharing the shadow puppets and masks and cultural background as well as learning to play the instruments and a traditional piece. 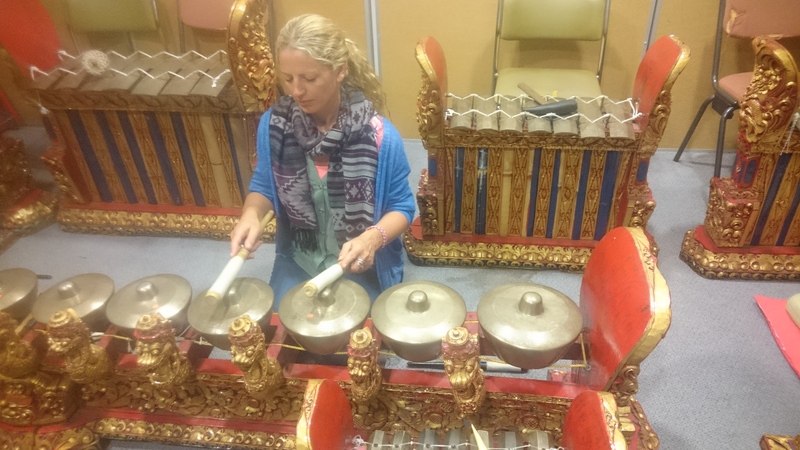 The sound is tuneful and relaxing with layers of interlocking rhythms. 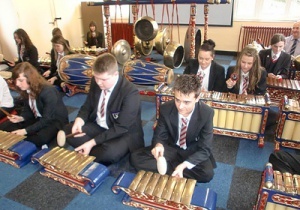 Great for team working, communication and ensemble skills development. 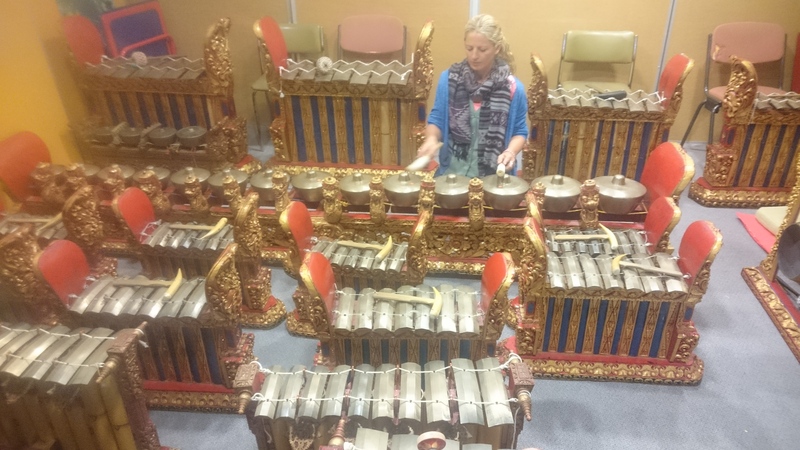 Gamelan workshops can be combined with dance workshops either traditional Indonesian dance or creative movement and the Gamelan could accompany the dance to form part of a performance. 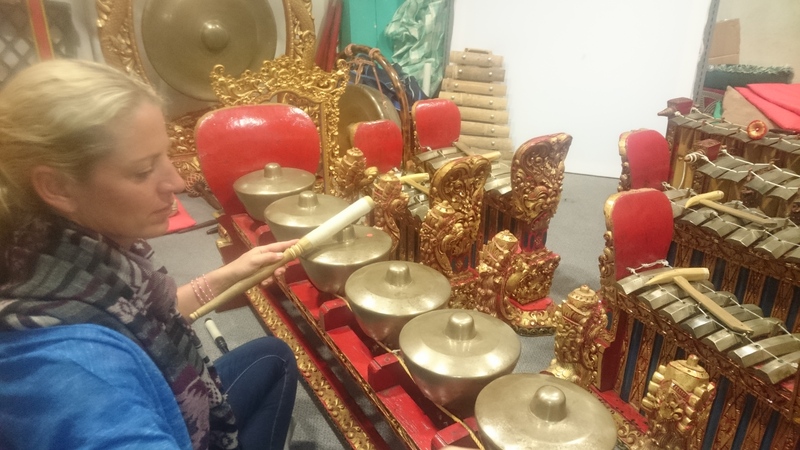 Visual arts from Indonesia including shadow puppets (Wayang Kulit), mask making and batik can also be combined to create a cultural focused project. 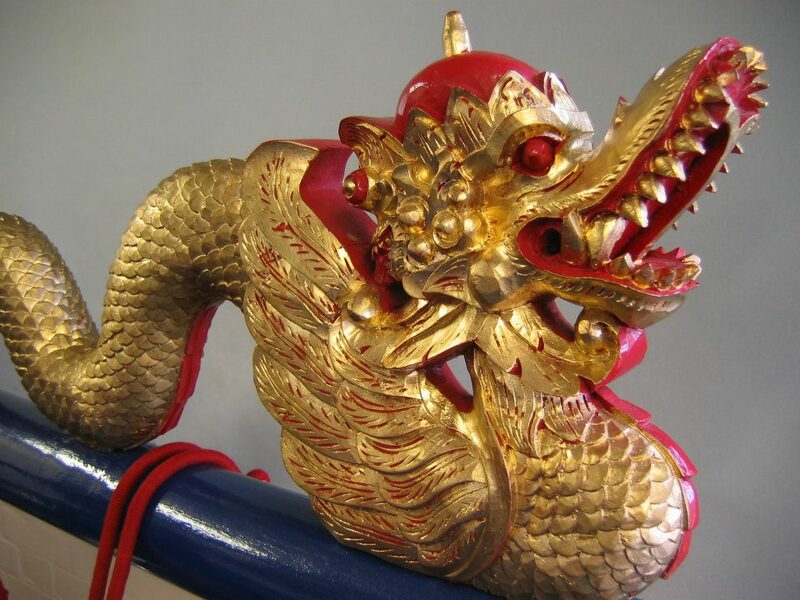 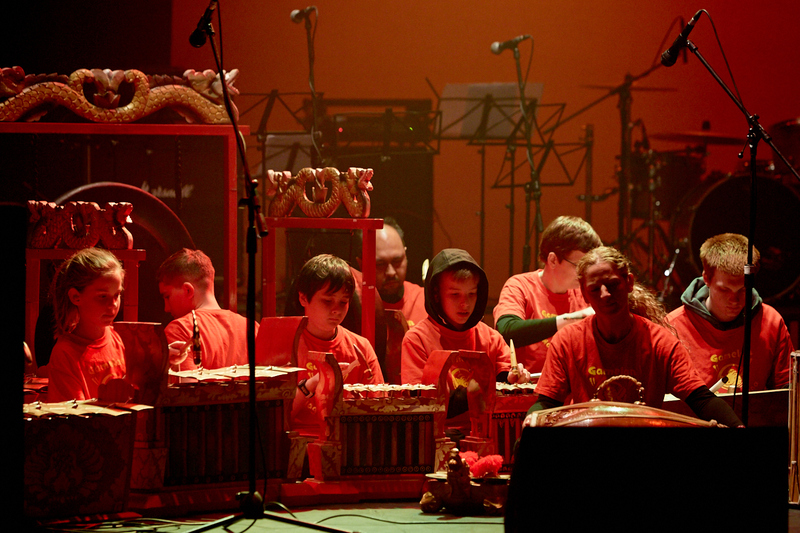 Gamelan projects are supported by Inspire.